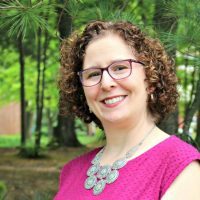 Disclosure: I wrote this post as part of a paid campaign with Dollar Tree and Blueprint Social. The opinions in this post are my own. Brr! We’re stuck indoors on another snowy no-school day. What do to?! As a busy mom, I appreciate FREE resources like the Dollar Tree’s Value Seekers Club for simple projects that fit my budget, fun for both me and the kids. 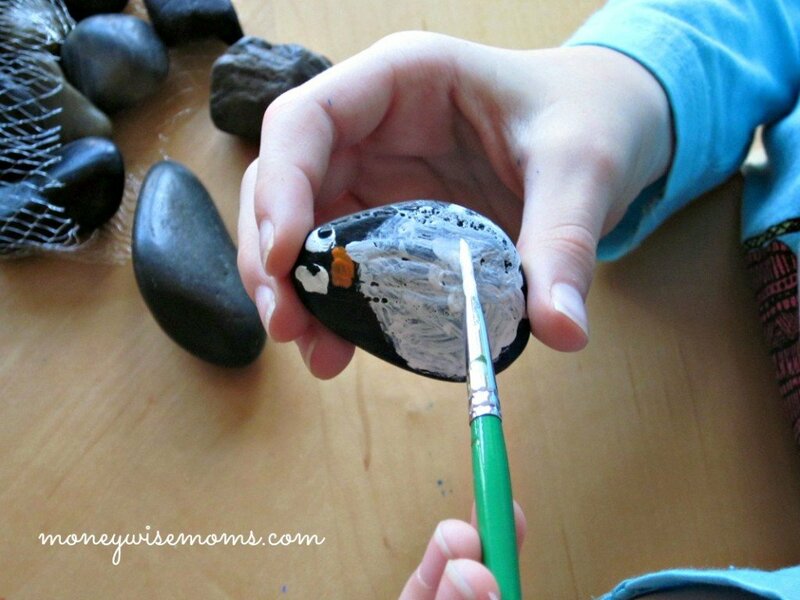 These Decorative Painted Rocks were easy to make, and my girls loved painting one of their favorite animals—penguins! Rather than search outdoors for the perfect smooth rocks, I just visited my local Dollar Tree to pick up a bag of River Rocks. They come in two different tones, so I went with the darker ones to make painting penguins even easier. 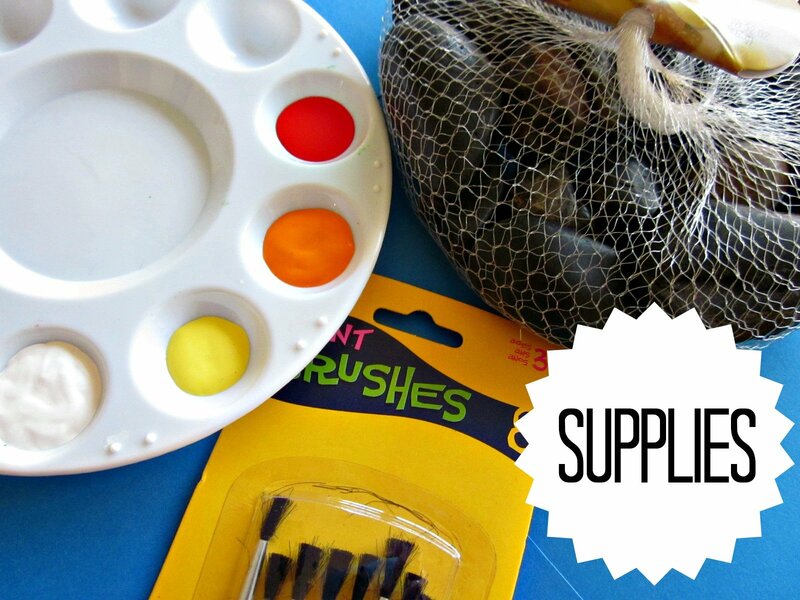 While you’re at Dollar Tree, you’ll find a great variety of supplies in the craft aisle. You’ll find this project at Dollar Tree’s Value Seekers Club, with some very cute seasonal options that would look great in a bowl or vase as a centerpiece. We made penguins instead, since that’s the theme of a playdate we’re hosting later this month. If you’re planning to reuse your rocks each year as seasonal décor, you may want to spray them with a sealer, especially since they’ll knock against each other. Browse this project and more crafts, recipes, décor, and frugal fun ideas that change monthly. The online project sheets can be saved or printed, making it easy to carry to the store as a shopping list. Giveaway Time! I’m giving away a $100 Dollar Tree Gift Card to one of my MoneywiseMoms readers. Just join the FREE Dollar Tree Value Seekers Club and leave a comment below telling which project from the Club you’d like to try first (be sure and use the same email that you used to sign up, so we can verify it). If you’re reading this in an email subscription, click over to the blog to enter. One entry per person, please. This giveaway ends Wednesday, January 22nd at midnight EST. Good luck! *UPDATE: This giveaway is closed. The winner will be announced shortly. I will have to try the Pin the Football on the wall activity. we always have painters tape around and my son would love it. I also like the platter wall hanging idea – too cute. Thanks Gina!! i’d like to try the Crackled Ice Vase Project first! thanks for the chance! I’d like to try the tie-dye cake. Thanks! The tie-dye cake will be perfect for my daughter’s birthday! Can’t wait to give it a try! I joined and I want to make the Platter Wall Hangings! Love how easy it is! I want to try making those chocolate overload brownies! One of the ideas was a recipe for Mocha Raspberry Pretzelwiches made using only things bought at Dollar Tree. That is one project I could see myself taking part in. I joined and think we’d love the Magnetic Clothespin Organizers. I joined and I think I would do the magnetic clothespin organizers which would be a great fine motor craft to do with my children with Autism. I would definitely do the platter wall hangings. Love em! I joined. 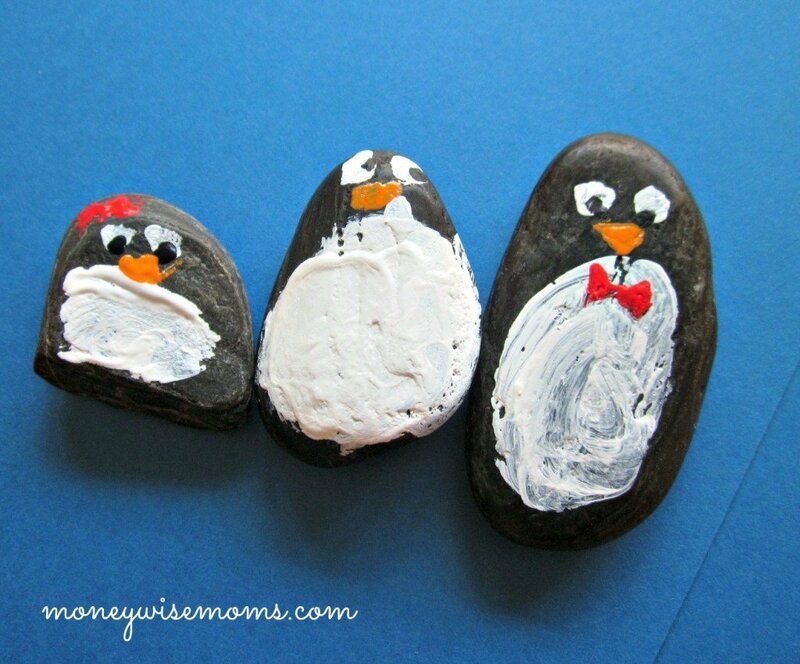 Would love to paint the river rocks with my kids. I joined and would love to try the crackled ice vases. I would try the paper fortune cookie favors for a kids birthday party. I joined and I’d like to make their snow globe project. I joined as 2dogs5catscrew@att.net and would love to make the decorative painted rocks for my garden. Very cute! I joined the club and would like to make Paper Fortune Cookie Favors project first. One of my daughters wants to make the paper fortune cookies project in red, pink, white for her Valentines exchange! I signed up, I like the magnetic clothes pins. I joined. My daughter wants us to make the crackled vase for her Grandmas flowers. I like anything home decor. I never have a lot of extra cash to spend on that and dollar tree has some great ideas. Love that platter wall hanging. Pin the Football in the Uprights looks like a fun game to keep the kiddos entertained during SuperBowl or any football game watching event. Looks easy enough to have my kids help to construct and they would love helping to shop for prizes for the winners! Can’t wait to try it! I signed up. I want to try the crackled ice vase. So pretty! I would like to try the Crackled Ice Vases first. So pretty and creative. I would love to make the Tie Dye Cake! So cool! That’s the type of club I want to belong to! I want to try the Tie-Dye Cake. These are adorable! My 4 year old would love this craft. I signed up using my yahoo address (i use that for all retailers), so different from the gmail account I have with you. I think the river rocks are a great idea! The tie dye cake would be fun to make! I joined the club and I would like to try the paper fortune cookie favors. I’d like to try the Paper Fortune Cookie Favors first. They are cute – and pretty darn customizable too. I am signed up! Great giveaway Thank you. I am a member–cjabdelnour@hotmail.com— I like the Ribbon Ball Topiary. It is very pretty. I like the magnetic clothespin organizers. I would love to make the Critter Feet with my youngest son and the Tie-Dye Cake with my daughter. I would love to try out the crackled ice vases! I love crafting with stuff from the Dollar Tree!! I joined! I would like to try the brownies! I’m already signed up! I would like to try the crackled ice vases! I joined the free Dollar Tree Value Seekers Club (pam_gurganus@yahoo.com) and I’d love to try the Crackled Ice Vases! Thank you! I would love to make the Mocha Raspberry Pretzelwiches! They sure look delicious! I signed up! Love the Dollar Tree. I’ve spent way too much there lately. I’ll be posting soon my new under the sink organization. Love the labels on the nailpolish. I want to try the ‘Critter Feet’ first. My kids would have a blast with this. They have a ton of old socks and this is the one time they would actually get away with writing on something, especially their clothing, lol. What a fun idea! the Cracked Ice Vases are pretty. I’d make the Paper Fortune Cookie Favors. I have already joined the club. I just wish I lived closer to a Dollar Tree. I would love to do the painted rocks project first. Paint ladybugs on them. They are so cute. The Winter Vase is so pretty! I’m going to give it a try. With winter greens it’ll make a nice centerpiece on a buffet table. I would love to try the painted rocks that look like owls! So cute! I’d love to try the magnetic clothespin organizers! I love the paper fortune cookies! What a fun favor for a birthday party, or as something kids can pick from as “rewards” 🙂 thanks for the great giveaway!! I would like to try to make the Tie Dye Cake. The chocolate overload brownies sound good. I like the crackled ice vases! I signed up with email coriwestphal at netzero dot com. And I think the Paper Fortune Cookies are so cute! What a cute bday idea! I would like to try the tie-dye cake. I want to make the tie dye cake! I might try it for my daughter’s upcoming birthday. i like the critter feet project. I’d love to make the Decorative Painted Rocks. I want to make the Chocolate Overload Brownies!! Yummy! I would try the crackled ice vases. Would love to try the Frozen Balloon Drink Cooler! I joined the club under Niclan80@yahoo.com. I would love to try the Critter Feet craft first. love paper fortune cookies for my daughters class for Chinese new year! With Chinese new years around the corner I would make the Paper Fortune Cookie Favors. They look like the perfect little favor for a party. This one, painting the rocks. I really think my son would enjoy it & I already have the supplies on hand! We have birthdays coming and Brea loves to tie dye so I would try the cake. Well I am so excited….now I know what to do with all of the single socks that come out of the dryer……Critter Feet…..for sure will be our first and ongoing craft. I think this is great especially now since unmatched socks seem to be all the rage……can’t wait….. I love the critter feet. We spend most of the winter running around the house in just socks and now we can use our imagination and colored socks to have a blast. I’ve joined and I’m looking forward to making a ribbon ball topiary. I would try the tie dyed cake for my daughter’s birthday! I like the tie dye cake. I want to try the snow globe project. I signed up. I like the creamy onion salsa dip. I really love the Dollar Tree… I go there all the time and have definitely used their stuff in some of my craft projects. The magnetic clothespin organizers are cute but I also loved the paper fortune cookie idea.. it would be really cute for Valentine’s Day. Thanks for the giveaway! I’ve already got everything I need to make the cute clothespin magnets! Thanks for sharing & thanks for the chance to win the gift card! I LOVE THE DOLLAR TREE!!!!! I am signed up and I would like to make the Ribbon Ball Topiary! It’s so pretty! The chocolate overload brownies look fab – I signed up too! I joined and my daughter and I want to make the tie dye cake. So pretty! I joined and I would love to make the painted rocks! I joined and I would love to make the clothespin magnetic organizers. I am a member of the club. I want to try Chocolate Overload Brownies, yum yum yum! I signed up under reejen at comcast dot net. I would love to try the Paper Fortune Cookie Favors project first for an upcoming birthday party we are having. These look fun! I signed up and I can see myself making the Platter Wall Hangings. I really like the Chili Bar. The next time the guys have poker or game night, I am going to set up a chili bar per their directions. Thank you for another super giveaway opportunity. Keep up the terrific blogging. Signed up, and like the Frozen Ballon Water Cooler. I would love to try the Chocolate Overload Brownies! Oh I love all their ideas! Im all signed up! I would love to make the Pin the Football in the Uprights! That would be so fun for Superbowl Sunday for the kids to play!!!! The Tie-Dye Cake is right up my alley! The frozen balloons are also a good idea. And love your rocks! I am already a member and would like to try the tie dye cake. I want to try the platter wall hangings! I think they are beautiful and it looks really easy! I would love to make the tie dye cake! the Magnetic Clothespin Organizers are cute! I’m signed up. I’d like to try the Ribbon Ball Topiary. I would like to try making the chocolate overload brownies. They look delicious! 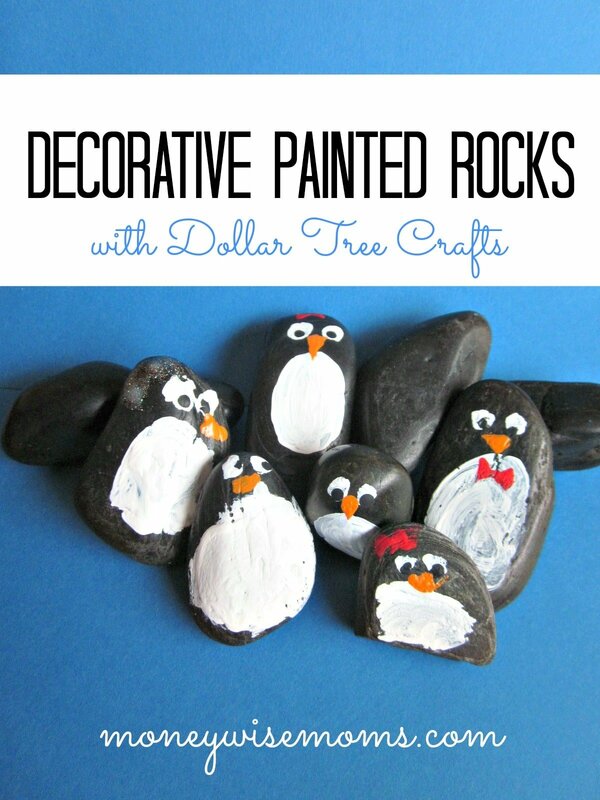 I would like to try the Decorative Painted Rocks craft with my granddaughters. My husband would love the Chocolate Overload Brownies, I think I’ll try those first then the tie dyed rainbow cake. I joined. I would like to try the chocolate overload brownies! Those look delicious! The paper fortune cookies are really cute too. But the brownies look too good! LOL Thanks for the great giveaway! The paper fortune cookies are so cute, I’d love to try those! These look great and I love the baby shower ideas, such as the bottle drinks! I’m a member of the Club. The first thing I would like to try are the Magnetic Clothespin Organizers. We were just talking about how fun it would be to write some fortunes that made people laugh, so I would like to try it making the paper fortune cookies project. I signed up hmromoser@yahoo.com and i would make the chocolate overload brownies. Definitely will be trying the Critter Feet project. My kiddos *love* animals and *love* dress-up, so that will be a perfect activity for them! magnetic clothespin organizers would be perfect for my daughters paintings. I’d love to do the tie-dye cake! Looks fun and different! Paper Fortune Cookie Favors look cute and easy enough for me to do. I am already a member of the seekers club and I would love to make the tie-dye cake! I signed up for the club! I joined, and I’m going to HAVE to make the tye dye cake! I have already joined the club. I would like to make the tye dyed cake. Very cool. My teenaged niece would love it. These are so cute! I’d make Pin the Football on the wall. I would probably try to make the Paper Fortune Cookie Cutters. With a $100 gift card – I could get all the supplies, but the fixings to make a Chinese supper to use them at! I love the paper fortune cookie idea. Very cool party favor idea. I’d like to try the crackled ice vases! All signed up for the club! I would probably try the tie dyed cake. I would try the tie dyed cake. I signed up with theshrubberyblog(at)gmail(dot)com. Absolutely love this. There are so many great things here . Thank you for telling us about it. I plan on making the painted rocks like you did….love all the cute designs, and also going to make a fun tie dye cake. My hubby and step daughter would love it. Thanks for the chance to win too to buy lots of supplies to make lots of wonderful fun things. I joined and want to bake the Chocolate Overload Brownies, they sound delicious!! My husband will definitely not be a fan of the Value Seeker’s Club. He already hates taking me in the dollar tree ^_^. I love all the projects so much, but I will probably try the Crackled Ice Vases first. It looks like something you would find from Anthropologie. I’d like to make the Fortune Cooke Favors. Joined! My boys would love the magnetic clothes pins. Fun stuff! I would like to try the Crackled Ice Vases! What great ideas! I’d love to try my hand at making the Tie-Dye Cake! I signed up for the club that’s pretty cool never knew they had that. I would love to try the Platter Wall Hanging one! I joined and would like to make the Platter Wall hangings. I’d like to make the Paper Fortune Cookie favors. Thanks! I love the Frozen Balloon Drink Cooler. I would have never thought of that! I joined & we will be playing the Pin The Football at our church superbowl party! At home we’ll be doing the rock painting for sure. One of my grandsons LOVES to create people, animals & things with rocks. I joined tinker111103 @ aol.com I would try the Critter Feet project with my two kids. They love wearing funky socks so being able to decorate them creating different critters from their own imagination will be an awesome afternoon project. The paper fortune cookies for chinese new year. Joined ! Thanks love free craft ideas for the kids ! I was checking out the three baby shower ideas, I want to do something for my sister and hers is upcoming. I have signed up for the value seekers club! I’m signed up and I would love to make the Crackled ice vases! I like the painted rocks. I’m a member. I can see a thousand possibilities for the Platter Wall Hangings idea. I joined, I really love the paper fortune cookie favors! i just joined! i see lots of cool crafts in my future! The tie dyed cake will be perfect for my sons birthday in a few weeks! I joined and I would love to try the crackled ice vases! I’d like to try the upcycled clothes pin magnets. Cute. Id like to do the snow globe craft with my grandkids. Tons of stuff to do on a day like today. Brrr, its freezing! Entered, I love the 3 baby shower ideas, will show to my daughter-in-law who will be delivering me a new grandson in May. I love,love,love the paper fortune cookies! They would be perfect for my daughters teen aged birthday party! Its so hard to find age appropriate favors for teens, but this will work! Happy birthday on one side and a fortune on the other! I want to try the Platter Wall Hangings! I signed up. I am most interested in Platter Wall Hanger and the balloon water cooler. Magnetic Clothes Pin Organizers is the project that my grand daughter picked out to do…..today, since school is out for snow day! Signed up! Used fourkidsrgreat(at)gmail(dot)com. I’d love to try that onion dip recipe. I’m a member and would first make the Chocolate Overload Brownies. I joined, and I think the project I am going to try first is the platter wall hangings. They are super cute and I know my kids would love making them. Thank you! I think the ribbon ball topiary is cute. I’d like to try to make it. Thanks for the chance. I want to make Chocolate Overload Brownies! Thanks!! Wanting to make the fortune cookies! They’re so cute!!! I joined, and I would like to try the painted rocks. So many cute ones! I joined and I want to make the tie dyed cake. I joined up; I’d like to try making the Decorative Painted Rocks and the Tie-dye cake! I’d like to try the Ribbon Ball Topiary first. I want to make the home made snow globes. I would do the chocolate overload brownies. They look delicious. I might add reese’s pieces in it! I am a member with the email: girlygirlugh at gmail dot com. I love the Ribbon Ball Topiary. What a cute idea! I want to try the tie-dyed cake. I want to try the Magnetic Clothespin Organizers. Joined and I’d like to make the Tie Dyed Cake. Tie Dyed Cake looks awesome!! THIS GIVEAWAY IS CLOSED. THANKS FOR ENTERING! I’LL ANNOUNCE THE WINNER SHORTLY.